A physician who pleaded guilty to a criminal violation of HIPAA Rules has received 6 months’ probation and has escaped a jail term and fine. The case concerned the wrongful disclosure of patients’ PHI to a pharmaceutical firm. The case was prosecuted by the Department of Justice in Massachusetts in conjunction with a case against Massachusetts-based pharma firm Aegerion. In September 2017, the Novelion Therapeutics subsidiary Aegerion agreed to plead guilty to mis-branding the prescription drug Juxtapid. The case also included deferred prosecution related to criminal liability under HIPAA for causing false claims to be submitted to federal healthcare programs for the drug. Aegerion admitted to conspiring to obtain the individually identifiable health information of patients without authorization for financial gain, in violation of 42 U.S.C. §§ 1320d-6(a) and 1320-6(b)(3) and HIPAA Rules. Aegerion agreed to pay more than $35 million in fines to resolve criminal and civil liability. The DOJ also charged a Georgia-based pediatric cardiologist with criminal violations of HIPAA Rules for allowing a sales representative of Aegerion to access the confidential health information of patients without first obtaining patient consent. The sales rep was allowed to view the information of patients who had not been diagnosed with a medical condition that could be treated with Juxtapid (lomitapide) in order to identify new potential candidates for the drug. 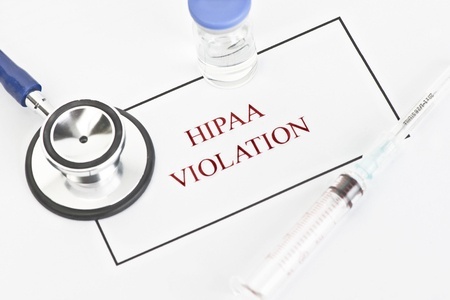 While probation was received in both of these cases, a substantial fine, jail term, and loss of license are real possibilities for physicians found to have criminally violated HIPAA Rules. Both physicians could have received a fine of up to $50,000 for the violations and up to one year in jail.